Many consider Point Loma to be San Diego’s Plymouth Rock. It was here that explorer Juan Rodriguez Cabrillo first set foot on the West Coast in 1542. Today, history echoes throughout Point Loma, while contemporary visual and performing arts, great restaurants, shopping and more make it a terrific destination for a family adventure. From European explorers to San Diego’s military history, there’s plenty of secrets from the past waiting to be uncovered around Point Loma. 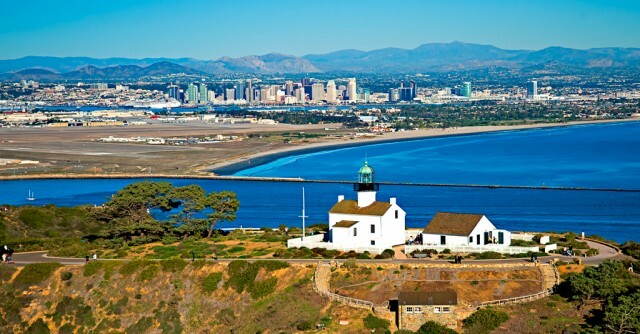 The Cabrillo National Monument commemorates the landing of Juan Rodriguez Cabrillo, but what really makes this site worth a visit is the spectacular view of San Diego Bay and beyond. Dating back to 1855, the Old Point Loma Lighthouse was one of the first lighthouses on the West Coast. Visitors can view the quarters where the lighthouse keeper used to live. NTC at Liberty Station was once a functioning U.S. Navy base, and the Point Loma Legacy Exhibit allows visitors to peak into what life was like as a Naval training recruit. Malashock Dance presents creative, contemporary dance performances around town and at their studio at NTC at Liberty Station. Also at NTC at Liberty Station, Jean Isaacs San Diego Dance Theater stages performances at Whitebox, a modern and minimalistic theater space. Every summer, locals gather for the Point Loma Summer Concert Series, featuring everything from rock to jazz, under blue skies in Point Loma Park. Free summer concerts have become traditions in neighborhoods throughout San Diego County. They’re an opportunity for visitors, locals and their families to socialize, picnic, enjoy music together – and maybe even dance as the sun sets on another perfect San Diego day. The Point Loma Summer Concert Series opens July 12 with Jumping Jack Flash (a Rolling Stones tribute band) and continues on consecutive Fridays through August 9. Shows run 5:30 to 8:30 PM. Pack a picnic or buy food at the venue. Bring blankets, lawn chairs and Frisbees to Point Loma Park, 1049 Catalina Blvd. Pacific Beach Concerts on the Green are set for Sundays July 21 through August 11. Shows run from 4:00 to 6:30 PM at Kate Sessions Park (Lamont Street, just north of Beryl). Bring your own food and drink. Mission Hills’ Concerts in the Park series opens June 21 at Pioneer Park and continues on consecutive Fridays through August 23. Once exception: No concert on July 5 because of the community’s big Fourth of July celebration, which includes a concert. 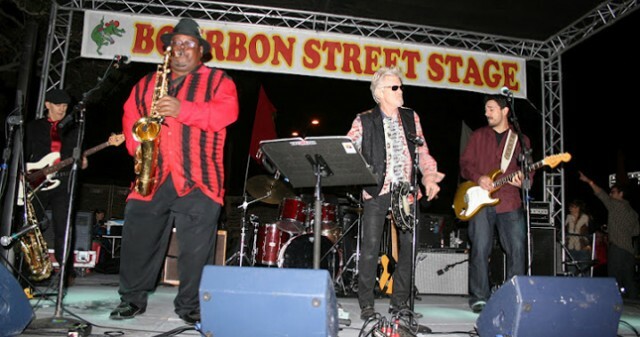 The series opens with Hullabaloo followed by Zydeco Patrol on June 28 and Dr. Elvis on July 4. Pioneer Park is at 1425 Washington Place. Balboa Park’s Twilight in the Park concert series kicks off at 6:15 PM June 18 and continues on Tuesdays, Wednesdays and Thursdays through August 29 at the park’s Spreckels Organ Pavilion. The hour-long shows feature everything from classical music to R&B. Enjoy organ music? The International Summer Organ Festival features organists from around the world. Showtime is 7:30 to 9:30 PM on Mondays, June 24 through Aug. 26, at Balboa Park’s Spreckels Organ Pavilion. The Bird Park Concert Series in North Park will open June 15 with jazzman Lenny Rankins. More concerts are scheduled June 29 (indie rock), July 13 (Latin jazz), July 27 (country rock) and August 10 (blues). All shows run 5:30 to 7:30 PM. Bird Park is at 28th and Thorn streets. Coronado’s Concerts in the Park series is set for 6:00 PM on Sundays, May 26 through September 8, at Spreckels Park, 7th and Orange. Families (but no dogs) are welcome to picnic during the 90-minute shows. The Coronado Community Concert Band will open the series. Coronado Ferry Landing Concert Series kicks it off with the Coronado Big Band on May 25 and continues rocking Saturdays and Sundays through July 28. Most performances run from 2:00 to 5:00 PM. Del Mar’s Summer Twilight Concerts are set for Powerhouse Park, overlooking the Pacific, at 1600 Coast Blvd. The series begins June 18 with Atomic Groove, followed by Mrs. Robinson on July 9, Back to the Garden on August 13 and Mark Wood and the Parrot Head band on September 8. Show time is 7:00 PM, with pre-show entertainment beginning at 6:00 PM. 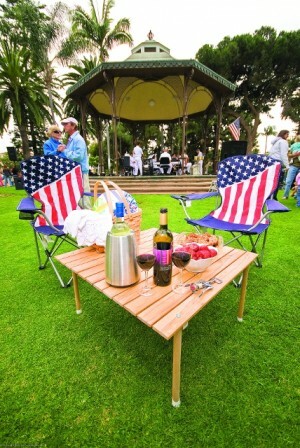 Carlsbad’s TGIF Jazz in the Park is staged at three community parks. The 28th season opens at Stagecoach Park (3420 Camino de los Coches), with concerts on June 28, July 5 and 12. The party moves to Poinsettia Park (6600 Hidden Valley Road) for concerts on July 19, 26 and August 2. The season closes at Calavera Hills Park (2997 Glasgow Drive) with concerts on August 9, 16 and 23. Showtime is 6:00 to 8:00 PM. Wear your dancing shoes. El Cajon’s Dinner and a Concert series is set for 6:00 to 8:00 PM Fridays through Sept. 30 on the Prescott Promenade near East Main Street and Rea Avenue in downtown El Cajon. The family oriented venue is smoke-, alcohol- and dog-free. No need to pack a picnic; about a dozen restaurants edge the promenade, offering on-the-spot dining or picnics to go. Santee’s Free Summer Concerts are scheduled 6:30 to 8:30 PM on Thursdays, June 20 through August 22 (except July 4), at Town Center Community Park East, 550 Park Center Drive in Santee. The Navy’s Southwest Showband will open the series. Picnics are welcome, but know that food trucks rally nearby. Know of more free summer concerts I don’t have in this list? Let me and others know in the comments below. The sound of San Diego summer arrives with the return of 3 popular outdoor concert series. Don’t miss out on the experience of listening to your favorite bands combined with ocean views and a blanket of San Diego stars during these summer concerts. 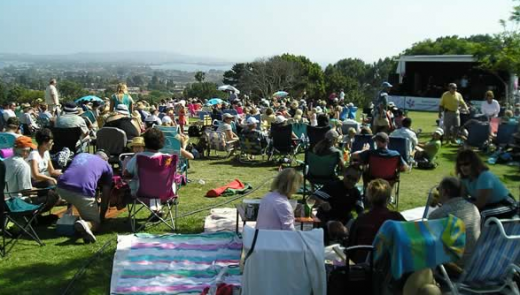 Humphreys Concerts by the Bay host a large selection of great shows throughout the summer. The popular summer concert venue returns with a diverse line up starting on May 26, 2013 with Juanes – Loud and Unplugged Tour. With a different headliner almost every night, don’t miss out on classic act Air Supply and newcomer favorite Carly Rae Jepsen, in this star-packed season, running through the summer months and into the fall. 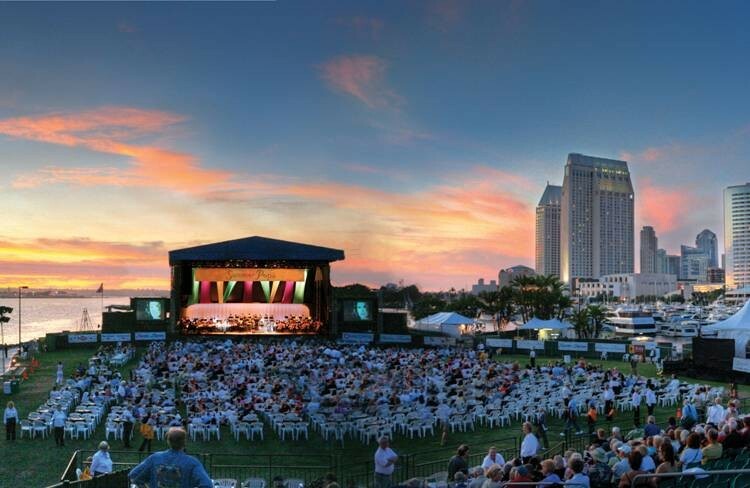 San Diego Symphony Summer Pops pairs music with the beautiful downtown skyline. The Ashford University Summer Pops starts up again on June 27, 2013 with KC and the Sunshine Band at the 6th annual Tux ‘N Tennies Summer Bash kick-off concert. The season continues through Labor Day and features the San Diego Symphony and some of today and yesterday’s greatest pop acts. This year, performers include En Vogue, Amy Grant, Michael Bolton, Ozomatli, Nathan Pacheco, Debbie Gibson, Burt Bacharach and more. 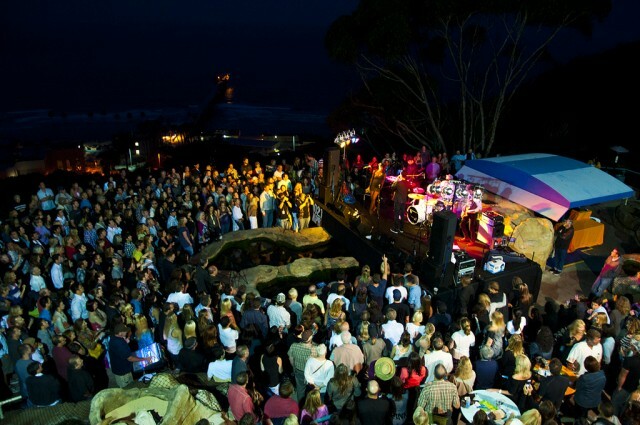 The Birch Aquarium at Scripps holds the Green Flash Summer Concert Series atop the cliffs of La Jolla. Starting May 15, 2013, pair live music with panoramic ocean views atop the cliffs of La Jolla on Birch Aquarium’s outdoor Tide-Pool Plaza. Enjoy music, drinks and food in one of San Diego’s most beautiful settings knowing you are benefiting a good cause. Proceeds from the concert series benefit exhibits and educational programming at Birch Aquarium at Scripps. Which concerts will you be seeing this summer? What better way is there to say ‘I love you’ than a trip to paradise? 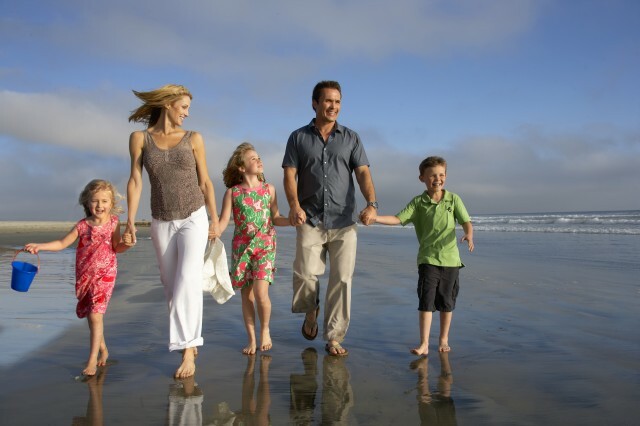 With a wide array of dining opportunities, day spas and outdoor activities, a vacation in San Diego is a gift any mother would love. 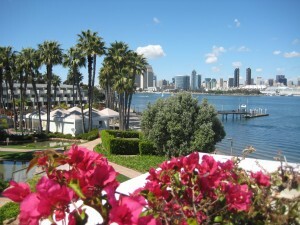 > Mother’s Day Delights in Coronado! For this spectacular event, members of The Julian Woman’s Club gather wildflowers from all areas in and around Julian, including High Mountain, Desert, Oak and Pine Forest, Chaparral and High Desert. The wildflower specimens are then taken to the Town Hall where they are named and featured in a beautiful display. Another feature of the show includes a display of Native American uses for wildflowers. The SDSFF will highlight more than 35 international films, a surf art gallery, amazing live music, beach clean-ups, board shaping demos and surf expression sessions. 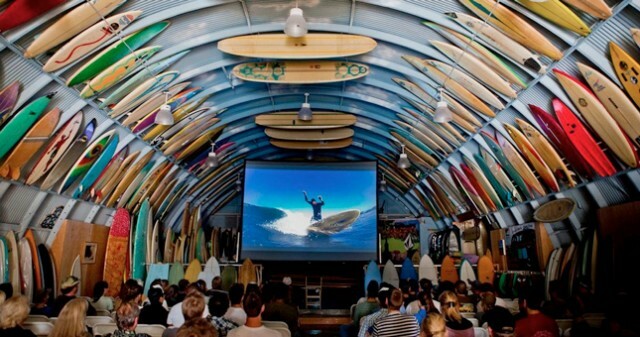 Surf enthusiasts and filmmakers from around the world are welcome to come celebrate the art of surf cinema in our beautiful hometown. Cajun, Zydeco, Blues and Country musicians and Louisiana cuisine and culture. Experience the culture and food Louisiana without having to leave San Diego! Knee-slapping good times abound at Spanish Landing on Harbor Island, with more than 70 performances on six stages, dance lessons, Cajun cooking demonstrations and delicious crawfish. 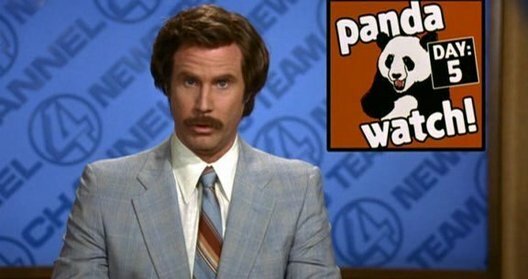 Will the Panda see you in Anchorman 2? Think you have the serious acting chops to be a background star in Ron Burgundy’s next documentary? Find out at the open casting call this weekend! 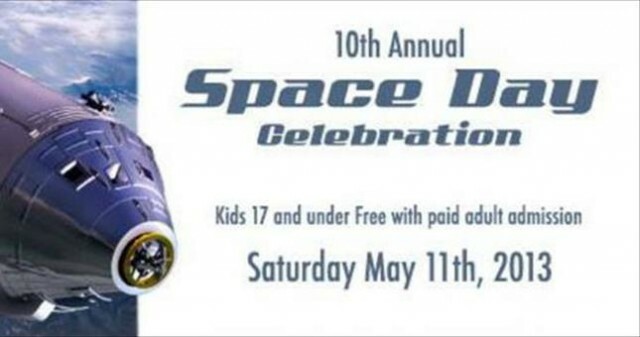 To infinity and… Space Day will feature demonstrations, giveaways, and hands-on activities with local and national space experts. You can also meet astronaut Garrett Reisman who made two trips on space shuttles to the International Space Station, remaining there as a long duration crew member. Cost: Kids 17 and under are free with a paid adult admission. The Amgen Tour of California, “America’s Greatest Race,” is coming back to Escondido! Cheer on the start of this 750 mile-long race with plenty of live entertainment, food trucks and a kids zone presented by Dr. Bronner’s Magic Soap. Free twilight concerts have become summertime traditions in neighborhoods throughout San Diego County. They’re an opportunity for visitors, locals and their families to socialize, picnic, enjoy music together – and maybe even dance as the sun sets on another perfect San Diego summer day. The Bird Park Concert Series in North Park will open June 16 with Bluesman Nathan James. More concerts are scheduled June 30, July 14, July 28 and Aug. 11. All shows run 5:30 – 7:30 pm. Bird Park is at 28th and Thorn streets. Balboa Park’s Twilight in the Park concert series kicks off at 6:15 pm June 19 and continues on Tuesdays, Wednesdays and Thursdays through Aug. 30 at the park’s Organ Pavilion. The hour-long shows feature everything from classical music to R&B. Enjoy organ music? Then check out the free Monday evening concerts, beginning at 7:30 pm on June 25 at Balboa Park’s Spreckels Organ Pavilion. Top organists from around the country will perform. The 2012 season concludes on Aug. 27. The Point Loma Summer Concert Series opens July 13 with Atomic Groove and continue on consecutive Fridays through Aug. 10. Shows run 5:30 – 8:30 pm. Bring blankets and lawn chairs, picnics and Frisbees to Point Loma Park, 1049 Catalina Blvd. Too tired to pack a picnic? A different neighborhood eatery, ranging from Barons Marketplace to Gabardine, will sell food at each concert. 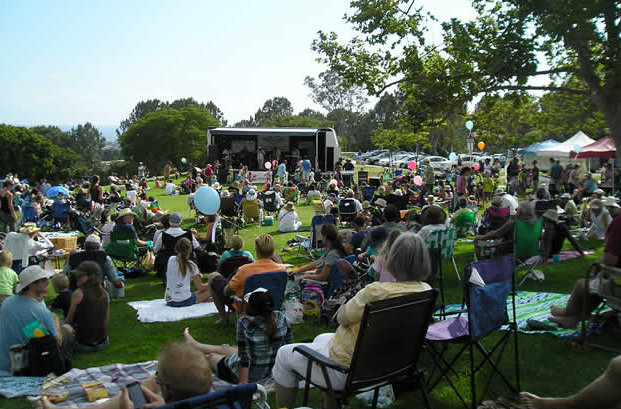 Mission Hills’ Concerts in the Park series opens July 4 at Pioneer Park, 1425 Washington Place. Eleven more concerts are planned through August. 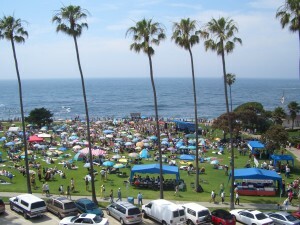 Pacific Beach Concerts on the Green are set for Sundays July 22 through August 12. Shows run from 4:00 – 6:30 pm at Kate Sessions Park (Lamont Street, just north of Beryl). The Palominos open the season and the Navy’s Big Band closes it. Coronado’s Promenade Concert Series opens May 27 at Spreckels Park, 7th and Orange in Coronado. The 90-minute shows start at 6:00 pm Sundays through September 9. Groups on stage range from the Navy Southwest Show Band to Rockola. Coronado Ferry Landing Concert Series features live music with views of the Bay and San Diego Skyline. Performances are on Saturdays and Sundays from 2:00 – 5:00 pm starting on May 26 and ending on September 30. Del Mar’s Summer Twilight Concerts are set for Powerhouse Park, overlooking the Pacific, at 1600 Coast Blvd. Shows begin at 7:00 pm on the third Tuesday of June, July and August. There’s a 5:00 pm concert on Sunday Sept. 9. The Mar Dels open the season. Carlsbad’s TGIF Jazz in the Park is staged at three community parks. The season opens at Stagecoach Park (3420 Camino de los Coches), with concerts on June 29, July 6 and 13. The party moves to Poinsettia Park (6600 Hidden Valley Road) for concerts on July 20, 27 and August 3. The season closes at Calavera Hills Park (2997 Glasgow Drive) with concerts on Aug. 10, 17 and 24. Showtime is 6:00 – 8:00 pm. 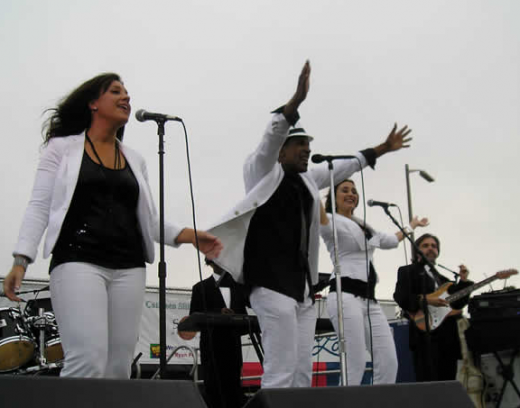 El Cajon Concerts on the Promenade was the first to open its 2012 season (on May 4). Concerts will be staged from 6:00 – 8:00 pm on Fridays through September 30, at Prescott Promenade near East Main Street and Rea Avenue in downtown El Cajon. The family oriented venue is smoke-, alcohol- and dog-free. Santee’s Free Summer Concerts are scheduled 6:30 – 8:30 pm on Thursdays, June 14 through Aug. 16 (except July 5), at Town Center Community Park East (550 Park Center Drive) in Santee. Picnics are welcome, but know that food trucks rally nearby. Did we miss a free concert series in San Diego? Let us know in the comments below. Push past the throngs of bodies to the front of the room. The anticipation builds as everyone waits for the headlining act to take the stage. You eagerly sip your drink, chatting with a friend, and then…the lights go down and the music kicks out. Nothing compares to seeing your favorite band live, and whether you prefer under-the-radar punk bands at a dingy dive bar or elegant jazz at a sleek and sophisticated club, you’ll find live music to suit any accoustic taste in San Diego. 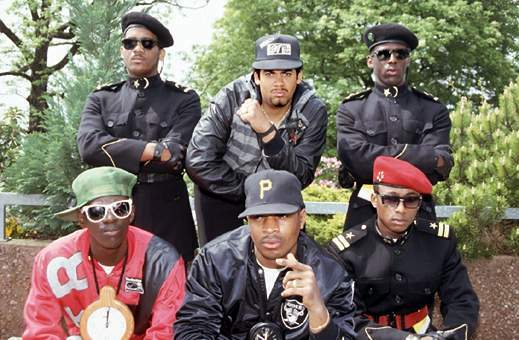 The legendary hip-hop group Public Enemy comes to downtown’s 4th and B on Jan. 15. Don’t miss this chance to check out the music that influenced everyone from the Beastie Boys to Nirvana. 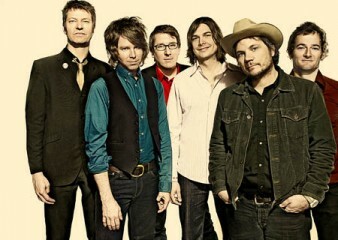 Since their first album didn’t come out until 1994, Wilco may not be considered a nostalgic act, but their bittersweet ballads can make you long for a past that may have never existed in the first place. Their show at Copley Symphony Hall on Jan. 22 is sure to sell out. With so much great live music coming to San Diego, which shows will you go see? The Belly Up Tavern Music Rocks North County San Diego’s Nightlife! No matter what kind of band visitors crave, from the legendary stars to the innovative upstarts, San Diego’s live music venues have something for everyone. 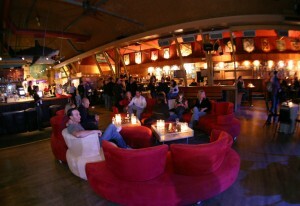 Venues range from raucous to refined, and the music is live all night, every night in San Diego. On November 17, at 8:00 pm, They Might Be Giants is celebrating the release of their brand new album, Join Us, and 30 years of uninterrupted rocking! Huzzah! Of course, having grown up in the ‘90s, TMBG’s particular brand of alternative rock is forever cemented in my mind via two iconic pop culture kid’s shows – Tiny Toon Adventures and Malcom in the Middle. You’re not the boss of me! On December 3, at 8:00 pm, North County San Diego’s own two-time Grammy award-winning pop star, Jason Mraz will be staying in. In town that is. General tickets for his show, “You are Loved,” go on sale at noon, Friday, November 10. Get them before they’re gone! He is loved, after all! 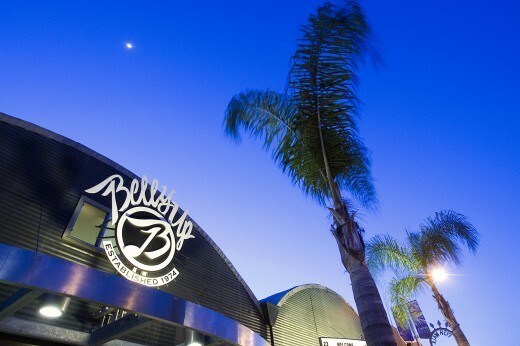 Want to relive the ‘90s at the Belly Up Tavern? Leave a comment on this blog post and be entered to win two tickets to They Might Be Giants on November 17. A winner will be chosen at random on Monday, Nov. 14, so be sure to post before 10:00 am on Monday! 1. Summer Safari- An African Extravaganza at the San Diego Zoo Safari Park: Running from July 2 to August 21, visitors will be treated to entertainment, activities and animals that embrace the spirit of Africa. 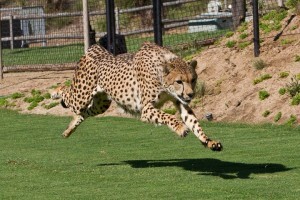 Just outside of the village, guests can also see the world’s fastest land animal, a cheetah, run right past them! 2. Ray at Night: One of the coolest ways to spend the weekend is in North Park on July 9. Art, music and culture lovers gather to mix and mingle in the plethora of galleries and businesses from 6:00 to 10:00 pm. 3. 58th Annual World Championship Over-the-Line Tournament: A San Diego original, this boisterous, fast-paced beach softball event is played at Fiesta Island on Mission Bay July 9-10 & 16-17 from 7:30 am to dusk. 4. Kettner Nights: On July 8th, head over to Little Italy to take in an evening walk among the galleries, artists, and artisans from 6:00 to 9:00 pm. 5.La Jolla Concerts by the Sea: Every Sunday from July 10 through September 4, visitors can enjoy free concerts from 2:00 to 4:00 pm at Scripps Park, La Jolla Cove. This Sunday’s concert features The Heroes. Free twilight concerts have become summertime traditions in neighborhoods throughout San Diego County. From Chula Vista to Carlsbad, from Coronado to El Cajon, the early evening summer concerts are an opportunity for visitors, locals and their families to socialize, picnic, enjoy music together – and maybe even dance as the sun sets on another perfect San Diego summer day. Pacific Beach Concerts on the Green are set for Sundays July 24 through Aug. 14. Shows run from 4:00 until 6:30 pm at Kate Sessions Park (Lamont Street, just north of Beryl). The Blue Breeze Band opens the season, followed by the Stoney B Blues Band, Candy Kane and Three Chord Justice. The Point Loma Summer Concert Series will open at 6:00 pm on July 15 with a salute to the Beatles – and continue from 6:00 until 8:00 pm on consecutive Fridays through Aug. 12. Boogie to music by The Mighty Untouchables, the MarDels, Rockola and Cash’d Out. Bring blankets and lawn chairs, picnics and frisbees to Point Loma Park, 1049 Catalina Blvd. 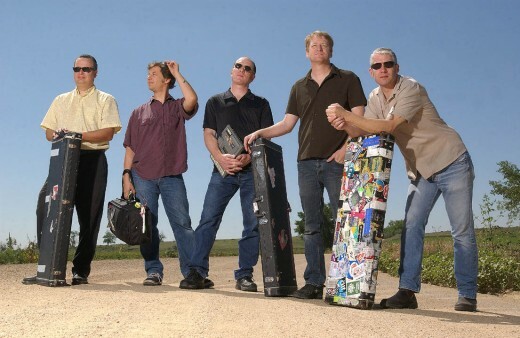 Mission Hills’ 2011 Concerts in the Park series opens at noon July 4 with Mama Red on stage at Pioneer Park, 1425 Washington Place. Twilight concerts are set for July 15 and 22, 6:00 – 8:00 pm at the park. Balboa Park’s Twilight in the Park concert series kicks off at 6:15 pm June 21 and continues on Tuesdays, Wednesdays and Thursdays through Aug. 25 at the park’s Organ Pavilion. The hour-long concerts will feature everything from classical music to Dixieland to Old School R&B. Enjoy organ music? Then check out the free Monday evening concerts, beginning at 7:30 pm at Balboa Park’s Spreckels Organ Pavilion. Top organists from around the country will perform. The season opens June 20 and concludes on Aug. 29. The Bird Park Concert Series in North Park will open at 5:30 pm on July 2 with the Stoney B Blues Band. More concerts are scheduled from 5:30 until 7:30 pm on July 16, 30 and Aug. 13. Bird Park is at 28th and Thorn streets.